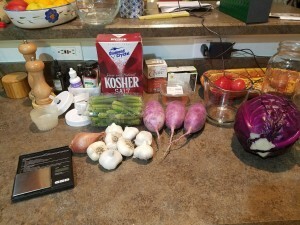 Some great ingredients at the store this weekend so I started a bunch of pickles. 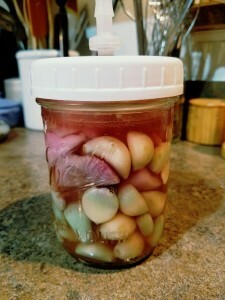 A few days later… I have green garlic! I read about this a while ago and I _think_ the very acidic vinegar activated the sulphur in the skin of the garlic. So cool! 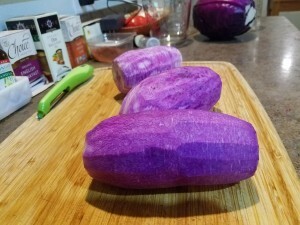 Purple daikon radish looks amazing when it’s peeled, really interesting textures.